Nikola Tesla was born in Smiljan, a small town in what is now Croatia on July 10, 1856. His father was Miliutin, an Orthodox priest, and his mother was Djuka Mandic, described as a woman with a rare inventive talent. 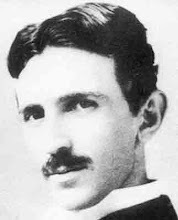 Tesla often said that he inherited his theoretical and philosophical nature from his father and his practical thinking and strong memory from his mother. He was something of a prodigy at school; he could solve problems so fast that he was often accused of cheating. When he was 19, he entered the Graz Polytechnic Institute to study electrical engineering, though the family's intent was for Nikola to become a priest or military officer. As a university student he often disagreed with his professors and became often the object of scorn when he rejected the "conventional" doctrine of direct current (DC) electrical machinery that was taught at the time. Tesla was certain that this method was doomed to failure and that there should be a better means of producing mechanical energy electrically, but it would be some time before he was able to develop his ideas fully. In 1879 he graduated from the Graz Polytechnic Institute and worked for several companies improving various devices. During that time he finally managed to develop not only a scheme of alternating current (AC) but also the design of a machine for producing alternating current. He left for Paris and soon afterwards, in 1884, he set off to America. He carried some reference letters describing him as a brilliant engineer, equal only to Edison, as well as his AC schematics. Upon his arrival in America, he visited Edison and was employed in his laboratories. Ironically, he was assigned the improvement of DC machines! Soon after his arrival, he began to have frequent disagreements with Edison, who rejected Tesla's AC system. Edison also refused to reward Tesla with a large amount for an improvement he developed. Edison said this was a joke. Tesla had not seen the offer as a joke, and decided to leave the company. After leaving Edison, Tesla worked in various jobs, until he managed to start his own laboratory in New York. He met George Westinghouse, a leading businessman ing the electric power industry, who trusted and supported Tesla. Westinghouse undertook public relations on Tesla's behalf and protected his AC system against Edison's attacks in the so called "war of currents". Finally, Tesla's AC system was the foundation of the first hydroelectric plant in USA, at Niagara Falls, giving Tesla great fame. At social events only few people dared to come close to him. He is described as being obsessed with cleanliness. He always used to wear white gloves and rarely offered his hand for a handshake. Apart from his his mother and his sister, no woman played a role in his life, although there was a peculiar relationship with Anne, the daughter of business magnate J. P. Morgan, who also supported Tesla's work. Morgan financed Tesla but he never understood him, as Westinghouse did. Tesla quickly asked to leave New York for Colorado Springs, where he built his laboratory in a place chosen for its climatic conditions. In an area surrounded by a tall fence and prohibited by signs warning for "great danger", there were tall towers, antennas and other unfamiliar devices that must have mystified the local populace. He begun working on his greatest dream: transmitting electric energy without wires to the whole planet, and it was there that he realized most of his inventions. He achieved the first wireless transmission, but this was not his primary target. His goal was to transmit energy, not just messages. When Guglielmo Marconi announced the invention of radio, all he had done was use Tesla's patents! Finally, Morgan withdrew his financial support and Tesla returned to New York where he tried to build the tallest antenna, the Wardenclyffe Tower, to send energy throughout the planet. In vain, his project was left incomplete due to a lack of funds. His friends were very few and between; among them, author Mark Twain is mentioned as a person Tesla deeply appreciated. He used to invite famous personalities to his lectures and to impress the audience with fantasitc electric experiments: colorful flames lighting the room, flashes and high voltage currents passing through his body without danger, and other impressive demonstrations. In 1912 a public discussion began for who was to receive the Nobel Prize, Nikola Tesla appeared as one of the possible winners, but he refused the chance saying that it came too late. However, he was also at least in part responsible for neglecting his work. He never liked being compared to other scientists. He didn't even publish the results of his research, and rarely kept notes of his experiments. Even if a project took years, he had all the details in his mind. He used to have a walk every day in the park to feed the pigeons. If, for any reason, he could not carry out this duty, he would pay a child to feed the pigeons in his place. There is a strange relationship mentioned with a white pigeon that visited Tesla through his window every day. Tesla said that his life had a meaning as long as this pigeon existed, and indeed, when the pigeon died Tesla's work ended. 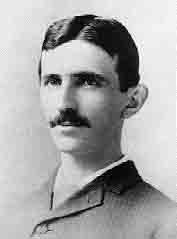 Nikola Tesla died on January 7, 1943 in a New York hotel room, alone, rather poor and surely forgotten. He kept his notes locked, and rumors exist that secret agents of various governments took these notes right after his death, at least to investigate his strange claims towards the end of his life (e.g., death rays that could make whole armies vanish in seconds, communication with other planets, and oscillator that could split the earth) A few efforts have been carried out to establish proper fame for Tesla, but he still remains largely unknown. Even today, large scientific organizations refuse to include his name in the history of science. There is a museum in Belgrade, where some of his personal belongings are kept. There are also other efforts by societies or individuals trying to gain proper recognition for Tesla. I’m sorry but I have to object your statements regarding Tesla’s country of birth, and you omission to say that Tesla was a Serb and that his father Miliutin was a priest in Serbian Orthodox church. Tesla was born on Krajina, which is Serb populated region of today’s Croatia and there is no historical facts to state that in any way that region at that time was part of Croatia, in fact it was a part of Austro-Hungarian Empire. Present day Croatia borders were established after 1945 while medieval Croatia never covered that region. There is strong tendency to “assign” Tesla to Croatia and even declare him a Croat. In fact, Croatian forces during the war of 1991 to 1995 burned his parents’ house and church where his father served and expelled all Serbs from the Krajina.